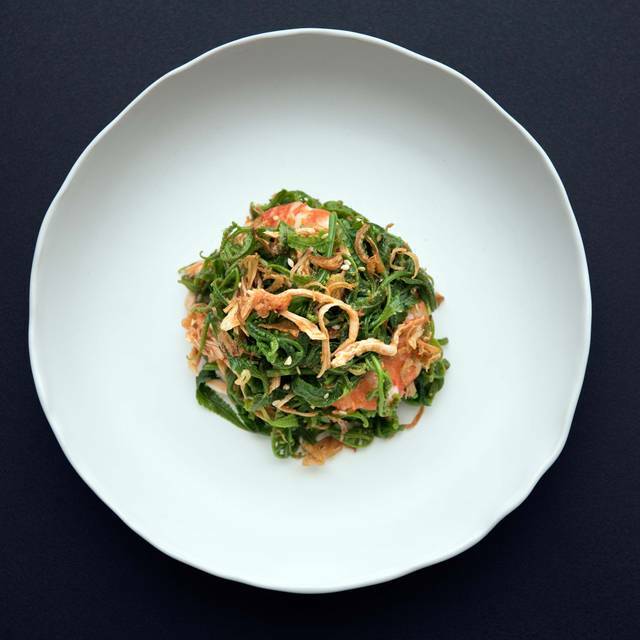 For the last five years, nahm has consistently ranked in the top 10 restaurants in Asia in the annual San Pellegrino and Acqua Panna list. 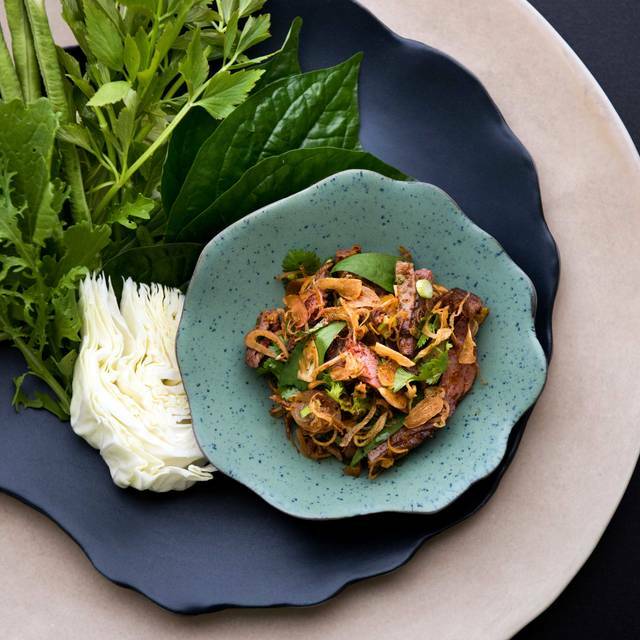 In 2017, nahm was once more awarded one of the guide's coveted Michelin stars, putting it among the top restaurants in Asia. 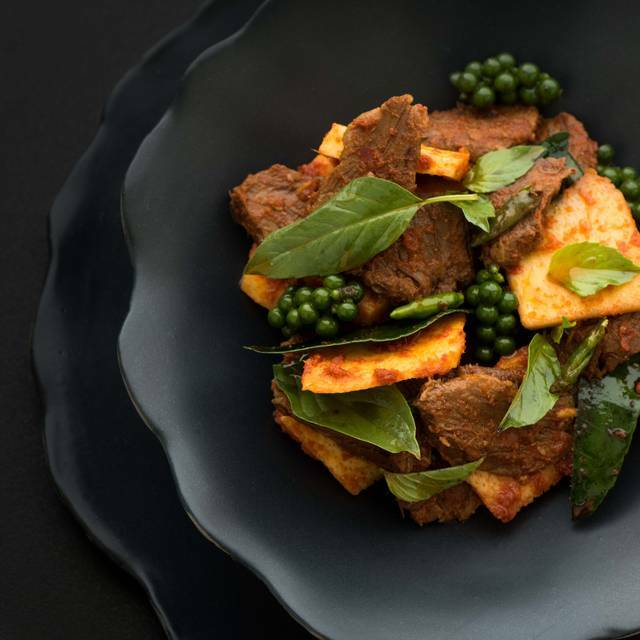 Nahm emphasises the strong, fresh flavours of traditional Thai cuisine, headed by chef Pim Techamuanvivit. Chef Pim delivers tastes and textures in dishes of all varieties, whether savoury or sweet, meats, seafood or vegetables. Voted by the prestigious World’s 50 Best Restaurants (No. 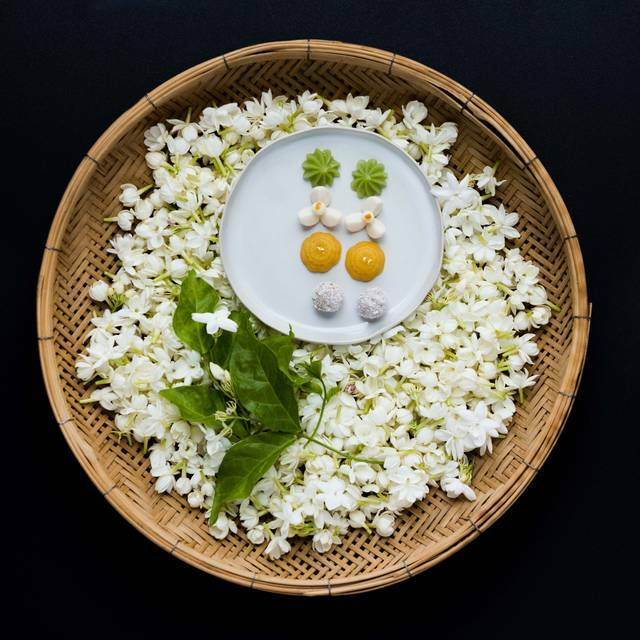 22) and Asia's 50 Best Restaurants (No. 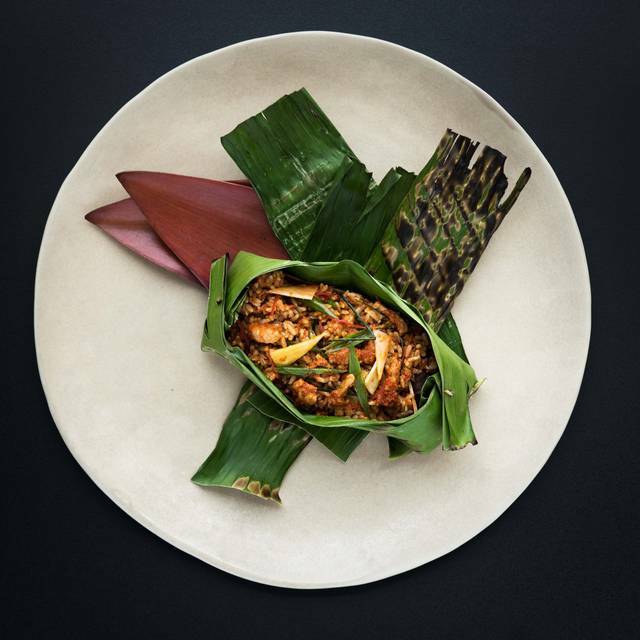 7) in 2015, nahm at COMO Metropolitan Bangkok is a place both for serious gourmets and for those who desire to learn more about authentic Thai cuisine. This was my first Michelin star experience and I do not have any complaints! The food and the service was amazing! We chose the tasting menu and it was delicious. I was very full and unable to finish the last course and barely ate dessert, so my advice, pace yourself and go hungry. They require “smart Casual” dress code, I wasn’t sure what that meant but I wore, a maxi skirt with a tucked in crop top and my husband had a polo, jeans and boat shoes. We were fine and there were other guests even more casual than us. The food at Nahm was quite different but very enjoyable. We opted for the chief's choice menu and we were not disappointed. The one thing that was difficult was that the lighting was very dim and it was difficult to see what we were eating. But, the wait staff was very attentive and it was a fun dining experience. Great food, knowledgable wait service. Can't wait to come back. A visit to Bangkok with an amazingly delicious dinner at a Michelin Restaurant . What a magnificent evening - the Food and presentation was fabulous . Not a bad meal at all but hard to see how this rates a top 50 restaurant in the world. This is my third visit but I was disappointed with service staff. Thier answer to customer was not kind. We found the food at Nahm delicious, but the portions are very small and the food is overpriced. We did not opt for the tasting menu (which is probably better value for money). The main course I ordered was the size of a small appetiser and while delicious did not fill me up at all. 80% of the plate was filled with leaves (fresh cabbage and local greens) while the main part (prawn) was contained in a small serving bowl on the side. Coming from Singapore we are used to high restaurant prices, but this was simply not worth it to us. We were also sat outside and got terribly bitten by mosquitos. We asked for mosquito repellent but the only option available was a spray containing DEET. As Nahm is part of Como which prides itself on being more holistic and which sells natural insect repellent, this was odd. We asked for the natural repellent and were told that the spa had run out but we could purchase a bottle instead.... not impressed. Their dessert (life cycle of a coconut) is a must try, along with the blue crab packet. However, the two soups (chicken with galangal and Tom yum gong) were too salty for our liking and rather forgettable. Still one of the best restaurants in Bangkok! Sadly we had a terrible experience from the start. We arrived for a 6:30 reservation on a Sunday night. The restaurant wasn't very crowded and they put us a a table in the corner next to the computer station where servers input orders. When we asked for another table we were told they were all booked. Note when we left at 8:30 there were still several better located tables empty. NOT happy! Then when the server came over to take our order he had a bit of an attitude because I guess we asked a lot of questions and he didn't like that?? He seemed annoyed with us the whole evening and didn't seem really concerned about our satisfaction. BUT, most importantly the food wasn't really very good. The TOM YOM soup had like one shrimp in it and was just ok. The rest of the dishes were difficult to really tell what we were eating and it was just not all that good. In addition, the server brought us rice long before the actual meals came out?? SO, NO don't bother going here. Overrated, overpriced and just disappointing. 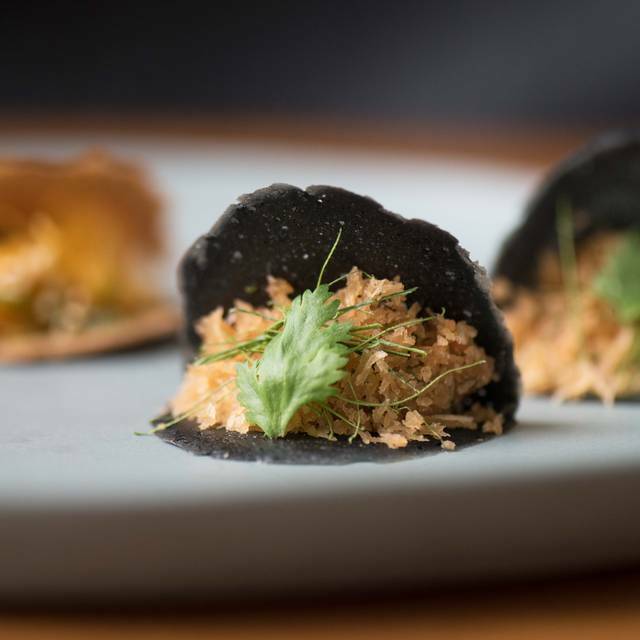 We came to Nahm with high expectations and hopeful that the few bad reviews we read were wrong, but were bitterly disappointed. Most of the food was below standard. Soup, relish and main all came at once, which shouldn't happen in a restaurant of this calibre. Their duck curry 'signature' dish had only a few slivers of tough duck and one of the worst we had in a long time. The only thing that resembled a Michelin star was the dessert, which was well presented. It appears that the head chef had left and the person that was left in charge of the kitchen was not up to the task. We expected to pay a high price for good quality food, but the quality and overall presentation and delivery just wasn't there. Not worthy of the Michelin star and don't bother eating here. While some of the courses were delicious, the overall experience was largely underwhelming. Considering this is a fine dine restaurant, service was poor - there was no warm or enthusiasm. We’d even left one course largely untouched, and no one even bothered to ask if there was anything wrong. I wouldn’t recommend it. The food as always was delicious ! The black grouper soup and yellow crab curry are always my must. Unfortunately, the service isn't, the waiter kept insisting in order more drinks even when we already ordered cocktails and beers. Last time when we ordered a bottle of wine and cocktails (the same waiter) did the same. It’s uncomfortable. The dessert was incredible, we might go to there again for the dessert. 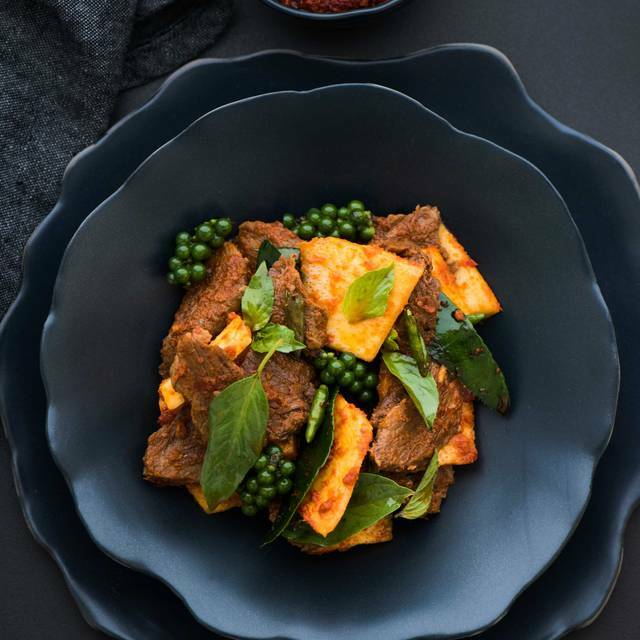 Authentic thai cuisine with good use of spices. Unfortunately due to the combination of dishes we ordered, everything tended a bit on the rich side. Was not what I expected. Portions were way too small for the price charged. Local restaurants were even better! 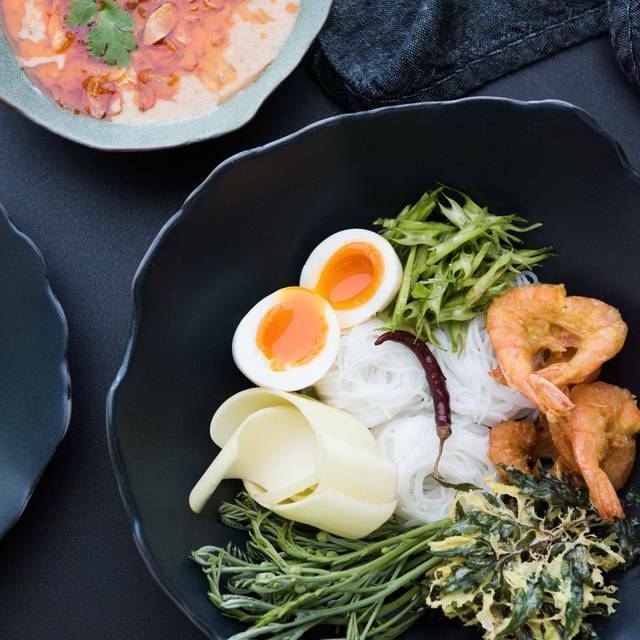 Overall I think Nahm is not worth the money. I think it’s just overrated and overpriced. Not worth for a one Michelin starred. Food was normal and everything is just too creamy and rich. Esp the curry crab, my family and I feel that it is too cream and too rich. We can get a better thai cuisine in other restaurant. Will not visit for the second time. Highly recommended. Delicious food with excellent service, even by Thai standards. The service was very friendly and knowledgable. They helpt a lot with the menu choices as I am allergic to fish and seafood. I would definately come to Nahm again. Thai fusion at its best! Rich flavors that you can savor & discover all at once. I would certainly go back if I'm ever back in Bangkok. 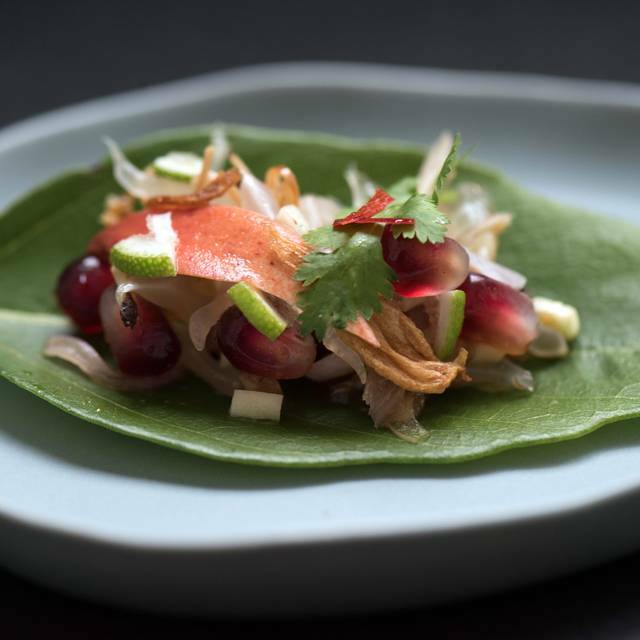 Nestled within the Como Hotel, Nahm should be higher than #28 on the World's Best Restaurants! Service was superb, as we did not have to wait longer than a few minutes to be seated or to have our order taken. The waiter was thoughtful regarding dining recommendations. The wagyu beef and Moroccan lamb were cooked to perfection! Desserts were creative and tasty. Cocktails had just enough alcohol. Pricing was more than fair....and I had tasty leftovers! I would definitely return should I find myself in Bangkok! We opted for the tasting menu, which is a very good value given the a la carte prices. The portions are deceptively large and very filling. All courses are exceptional, but some of them are very spicy; this is not surprising given Thai food. The blue crab curry is excellent and so are some of the starters. Interestingly we felt that the deserts were also a strong point. The service is attentive but there a language barrier, as it is not easy to understand always the waiting staff. The background music levels were a bit too high for our liking. The food was fantastic but the service poor. We sat for at least 15 min before anyone came to our table. We were well into our first appetizer before the pre-dinner cocktails we ordered 30 minutes earlier, arrived. I had to ask a second time for a taste of the wine we wanted with dinner which was finally poured after our second appetizer and all the mains were served all at the same time. The food deserved the star, nothing else did. Was not impressed for being a “top 50 restaurant of Asia”. Food presentation was mediocre and my stir fry waygu beef was very fatty and gristly. Will not go back. Portions are small, I did not leave full after spending $130 USD. Amazing experience, got the tasting menu option and loved everything! Nice setting good service and excellent food. They serve it fast!